Item # 301422 Stash Points: 2,995 (?) This is the number of points you get in The Zumiez Stash for purchasing this item. Stash points are redeemable for exclusive rewards only available to Zumiez Stash members. To redeem your points check out the rewards catalog on thestash.zumiez.com. 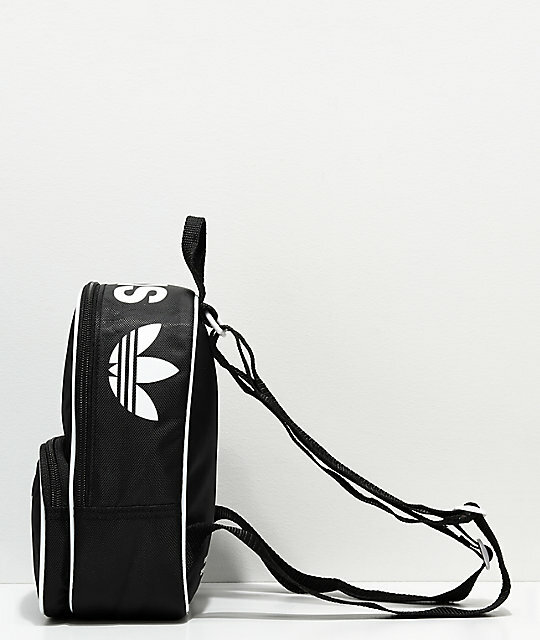 Kick your boring purse to the curb and pick up the Santiago Black Mini Backpack from adidas Originals. 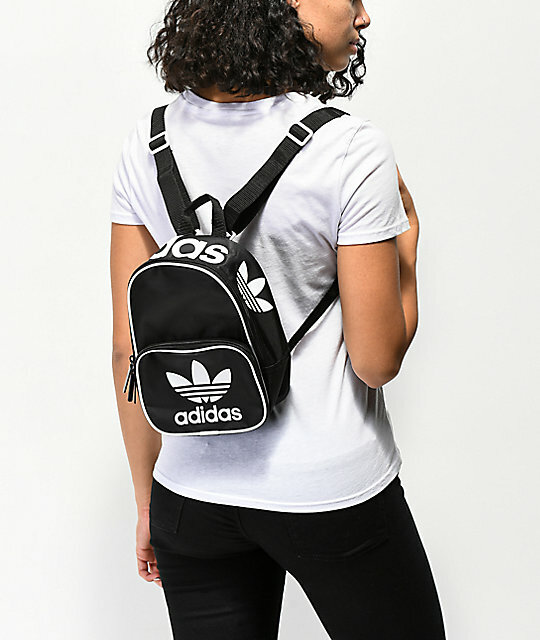 This functional miniature backpack features a webbed top haul handle as well as adjustable webbed shoulder straps. The roomy main compartment features an internal storage sleeve, while the external zipper pocket has a built in key clip. The design is complete with screen printed adidas branding throughout, along with custom metal zipper pulls. 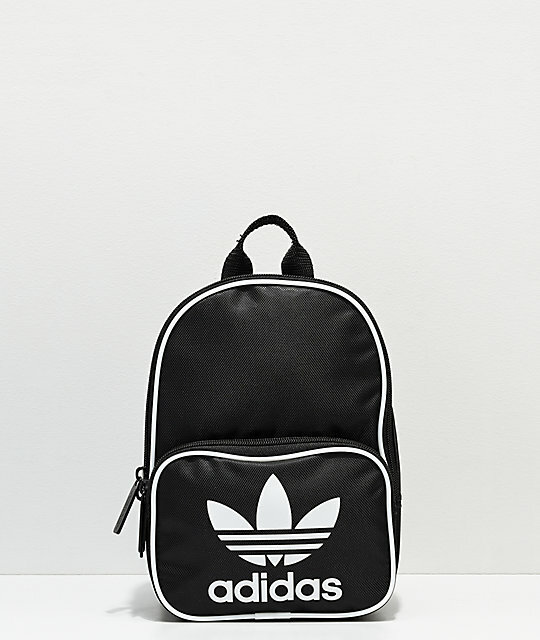 Santiago Black Mini Backpack from adidas Originals. Roomy main compartment with internal storage sleeve. External zippered storage pocket with key clip. Dimensions: 10" (25cm) x 7.5" (19cm) x 4" (10cm).